UX, UI, visual design, logo design, brand management, product management, front-end development, project management, financial projecttion, print marketing. 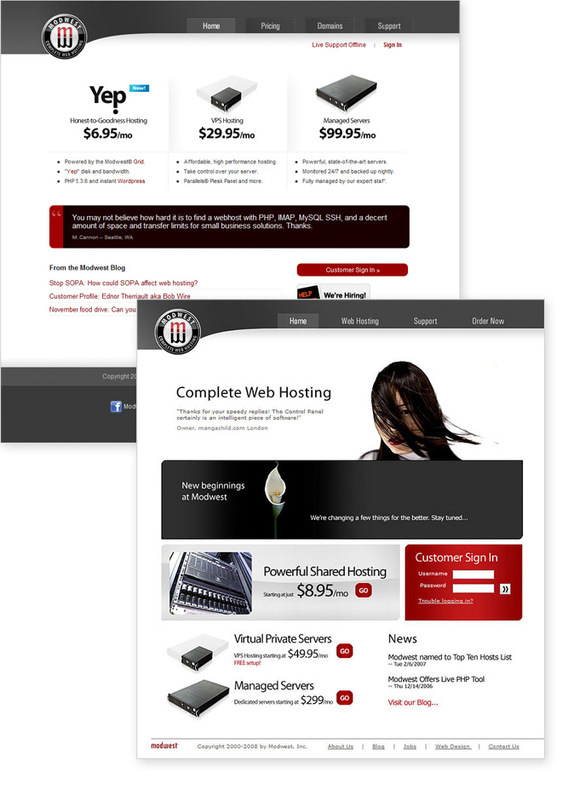 Modwest is a web hosting company I co-founded in 2000. Today, Modwest serves thousands of websites for customers around the world.